That was the title of my slide that hijacked much of the attention. This particular powerpoint slide reaffirmed beliefs of my attendees and ritualized what was already transparent to us all – The Role of the PR practitioner varies drastically from one international school to another. 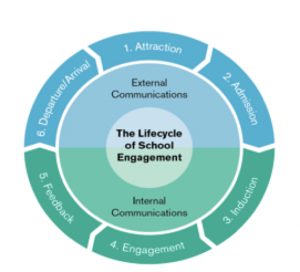 In Managing the Role Stress of Public Relations Practitioners in International Schools, Dr Bunnell addressed this concern while examining the role of a PR practitioner in various international schools. In 2006 he adds that “only 60 per cent of the schools had a separate admissions officer meaning that PRP (PR practitioner) is quite often in charge of the subsequent time-consuming task of showing parents around the school. Overall, 40 per cent of all PRPs were also responsible for the time-consuming task of maintaining relations with alumni. Almost half of all PRPs were also responsible for fundraising. As PR is nearly always linked to press relations it was not surprising that 95 per cent of all the PRPs were also responsible for press and media relations, skills they generally felt lacking in”. Very little has changed since 2006. 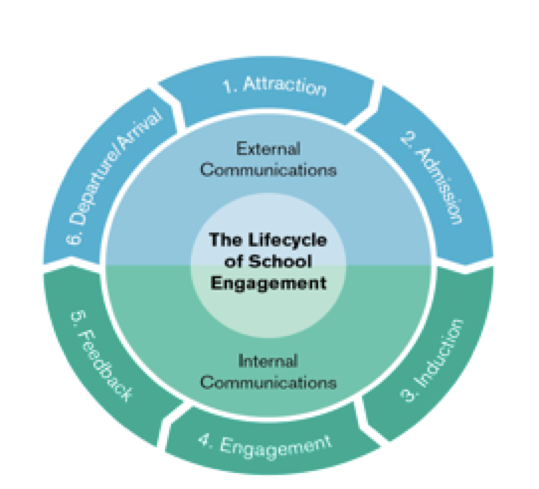 Telling the story of one school in a coherent manner is a job that includes various PR layers. According to Dr Willows, Director of Advancement at the International School of Brussels, telling a story of a school means for everyone on the team to understand the “lifecycle of a school.” In the interview that I conducted with Dr Willows, he explained that the first job is to spark Attention, then focus on Admissions, maintains the Engagement with families who are on campus, and finally focus on Departure of those families. It’s about the holistic experience and telling the story of the school. Dr Willows further elaborates on this exciting process in his blog, fragments2.com. Due to budget concerns as well as a lack of understanding for PR, it is evident that not every school can have a PR team. However, all academic institutions must consider that we do live in a ‘post-truth’ era where our school’s image can easily swan around myths that ought to be debunked. Schools, in particular, international schools, are subjected to competition and their sustainability comes to the forefront. We live in a culture where there is a tendency at times to suppress the truth in favour of political ideology and it’s exactly for this reason that we need well-versed PR practitioners in academic institutions, now, more than ever. About the author: Dzenana Ceman is an International Baccalaureate educator and has taught in various international schools. She is currently teaching at Vienna International School. She has also worked in New York City’s inner-city public schools for a number of years.